Recent Arrival! Navigation/NAV/GPS, Sunroof/Moonroof, Good Tires, Good Brakes, Bluetooth Hands Free, Satellite Radio, Cloth, 17" Salamanca Aluminum-Alloy Wheels, 4-Wheel Disc Brakes, 8 Speakers, ABS brakes, Air Conditioning, AM/FM radio: SiriusXM, CD player, Cloth Seating Surfaces, Dual front impact airbags, Dual front side impact airbags, Electronic Stability Control, Four wheel independent suspension, Front Bucket Seats, Front Center Armrest, Front fog lights, Golf TDI Mat Kit, Heated door mirrors, Heated front seats, Heated Front Sport Bucket Seats, Illuminated entry, Leather Shift Knob, Leather steering wheel, MP3 decoder, Occupant sensing airbag, Overhead airbag, Power door mirrors, Power driver seat, Power passenger seat, Power steering, Power Tilt & Sliding Sunroof, Power windows, Rear window defroster, Remote keyless entry, RNS 315 Navigation System, Security system, Speed control, Splash Guards (Set of 4), Sport steering wheel, Steering wheel mounted audio controls, Telescoping steering wheel, Tilt steering wheel, Traction control, Variably intermittent wipers. Clean CARFAX. 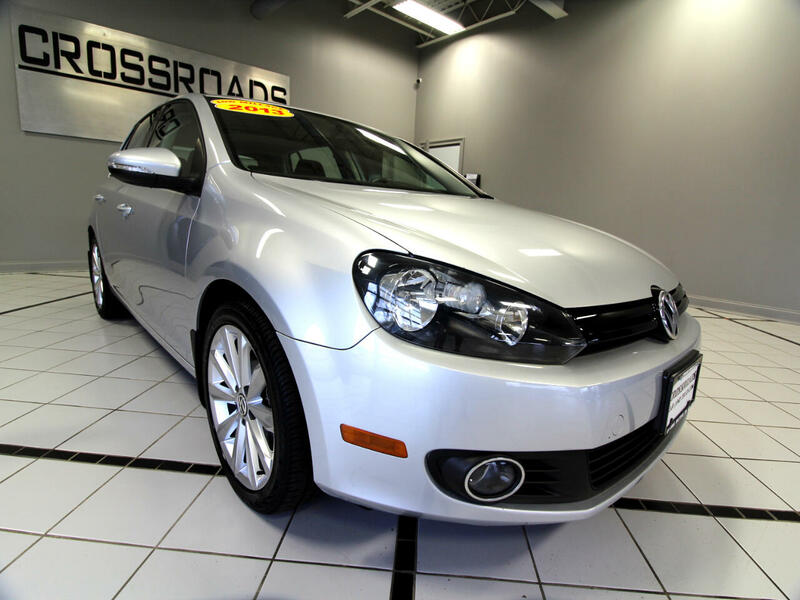 Silver 2013 Volkswagen Golf TDI 4D Hatchback FWD 2.0L 4-Cylinder Diesel 6-Speed DSG Automatic with Tiptronic Odometer is 29594 miles below market average! 30/42 City/Highway MPG Awards: * Car and Driver 10 Best Cars * 2013 IIHS Top Safety Pick Car and Driver, January 2017.